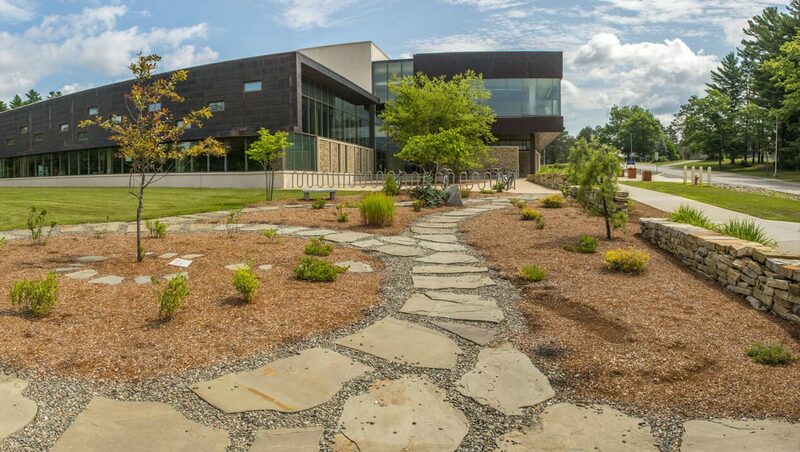 This garden, a gift from the Class of 2012, forms an extension of a courtyard from the New Balance Student Recreation Center, and is an example of complementary building construction and landscaping. The garden contains flowering and woody plants, trees, rocks, stone benches, flagstones and a purpose-built, stacked stone border wall. Specific trees and benches were donated in honor or in memory of individual people. Throughout campus, visitors can find trees, benches, terraces, sculptures and gardens planted, installed, created or named to honor others.